"I wake up at 5 a.m., run a couple miles, and then close a few deals—all before breakfast." Unfortunately, for many tech founders, this type of morning is a rarity. A typical morning may feel more frazzled than rock solid. Especially during the early days when you're responsible for everything from employee training, to product development, to making sure the cash doesn't dry up. While we've all heard the wisdom of enhancing productivity by taking time for ourselves, few of us have it mastered. In the midst of anticipating an avalanche of tasks for the day ahead, allowing workloads to creep into a morning routine is common. 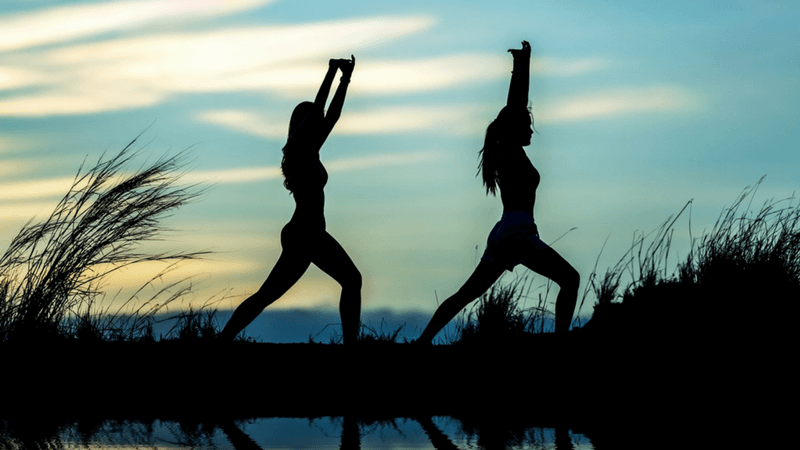 While there is no such thing as "the perfect morning routine," there are some best practices that you can easily employ to set the foundation for a more successful day and week. In this article, we will reveal some of the common habits successful tech entrepreneurs and startup founders swear by to get their days going. Before we get started, let's look at an example of what not to do. When founding a startup, entrepreneurs often find that they put a lot of things on hold. Whether that be favorite pastimes, relationship goals, or family gatherings. In essence, your startup is your relationship/hobby/job. However, put the things that are essential to your well-being on the back-burner too often (i.e. sleep, exercise, relaxation), and your efforts can become counter-productive. 6:00 a.m.: Wake up telling myself today is the day I'll work out. I think I didn't wake up too late it's only 9:00 am: Eastern time. 6:01 a.m.: I hear the phone ringing in the background or a text coming (Chewbacca sound) Paul answers it. Trying to close the deal in the living room and send work to one of our independent contractors. 6:02 a.m.: checking my cell phone over 15 texts and a couple missed phone calls. I wish cell phones didn't exist. Perhaps just close my eyes? Ah, I'll wake up. 7:00 a.m.: Talking to one of our 70 independent contractors and putting out small fires. 8:00 a.m.: Linda shows up. She hires new independent contractors. Always happy full of energy and ready to start her day and sign us more contractors. Doesn't have an official job title. None of us do...I guess we are all firemen. 8:01 a.m.: How much money do we have on our account? Yes, we are good. 9:00 a.m.: Why didn't I work out? As a tech founder, the temptation to work non-stop will always be there. However, most seasoned founders will tell you that working from sunrise to sunrise is actually counter-productive. Write down their top three to four priorities for the following day. Review the list first thing in the morning. "At the office, I review the to-do list I made the night before. I figure out my priorities and do those first. The day has a way of running away from you, so this makes sure the most important tasks get done." Make a habit of this one simple action, and you will find yourself feeling more pulled together. Additionally, when drafting your to-do list, consider placing your most challenging task first. Pen your list the night before, and you will have the added bonus: peace of mind. Knowing exactly what lies ahead, helps you feel more in control as you navigate the week. The best way to conquer your morning? Start the night before. Following a predictable sleep pattern, establishes a predictable wake-up pattern. This is important for maintaining consistent energy levels throughout the work week. Though a busy CEO can easily vary his or her bedtime, wake time is much less negotiable. While you may not have the schedule of a traditional office dweller, most of the people you are prospecting/contacting will. What if you're not naturally a morning person? In that case, weigh the pros with the cons. While several famous CEOs swear by waking up early—Richard Branson claims to rise at 5 a.m. everyday—it isn't right for everyone. Recent research suggests that some people may naturally have later circadian rhythms than others. From a scientific perspective, keeping a standard sleep schedule, (between seven to nine hours a night) is more important than what time your head hits the pillow. Checking your email as soon as you open your eyes may be tempting. After all, your smartphone is probably within a reachable distance. The problem? You may lose your entire morning. "I try to avoid reading email until I've been awake for at least one hour. I do this because it helps me prioritize my thoughts for the day based on what's actually important, not what my inbox makes me think is important." As a founder, you will be thrown into the mix of what's going on with every deal and team. Your inbox will undoubtedly reflect that. Being pulled in so many directions first thing in the morning is a stressful start. Author Julie Morgenstern wrote an entire book on the subject, called Never Check Email In The Morning. In addition to consulting for companies like American Express, FedEx, and Microsoft, Morgenstern has written on organization and time management for Forbes and the New York Times. Startup founders know all too well just how "endless" those requests can seem—whether it's a customer wanting to cancel a subscription, a VC wanting a deck or a developer wanting you to make a website decision. Open your inbox before you've had breakfast, and you'll be tempted to respond to every single one of them! It's for this reason seasoned founders recommend only opening that inbox when you're reallyready to work. Another commonality of successful entrepreneurs and startup founders: they take time to do something personally rewarding for themselves in the morning. Whether that be a physical activity like working out or a mental activity like journaling, engaging in personally fulfilling activities first thing creates a clearer headspace for the day ahead. I get up early and play with my son. Even if it’s just eating a quick breakfast together, I remind myself to put aside my device, be present, and simply enjoy seeing life the way a 7 year old does. What’s for lunch today? How about them Warriors? What’s going on in our worlds? It’s the best reminder to stay real, and of what I’m working hard for at the end of the day, which is to have a great life with my family. As you can see, what constitutes a personal morning routine is extremely varied. The point is to engage in something that leaves you feeling personally fulfilled, motivated, and energized. Though it may seem counter-productive, taking time for yourself is actually the best way to be more productive. Though it may seem obvious, it's worth mentioning: building a tech company on an empty stomach is hard. This one's basic, but easy to skip if not planned appropriately. As previously mentioned, entire mornings can quickly get siphoned away when engaging with technology first thing. Whether you are courting new investors, or troubleshooting tech problems, there is always something that seems more important than eating a balanced meal. Incidentally, many founders find themselves reducing their breakfasts to little more than a Power Bar. Limiting your breakfast to very little (or none at all) will only make you less effective in conquering your place in the market. "I take the time to make a healthy breakfast each morning -- usually consisting of vegetables and protein (eggs, salmon, or chicken) along with a green juice and coffee. That killer combo sets my mindset of healthy eating throughout the day -- and if lunch can't happen until later in the afternoon, I can count on the vegetables to keep me fuller, longer." Prepare your breakfast the night before to get a head start. Depending on what you prefer, that could mean cutting up fruit for a smoothie, cleaning veggies for a juice, or making sure the pantry is fully stocked with your favorite cereal. Want to make things even easier? Prepare everything on Sunday for the week ahead. Why are good morning habits especially important for tech startup founders? Because they're not just building a company, they're building it fast. That usually means longer hours and more highly focused work. 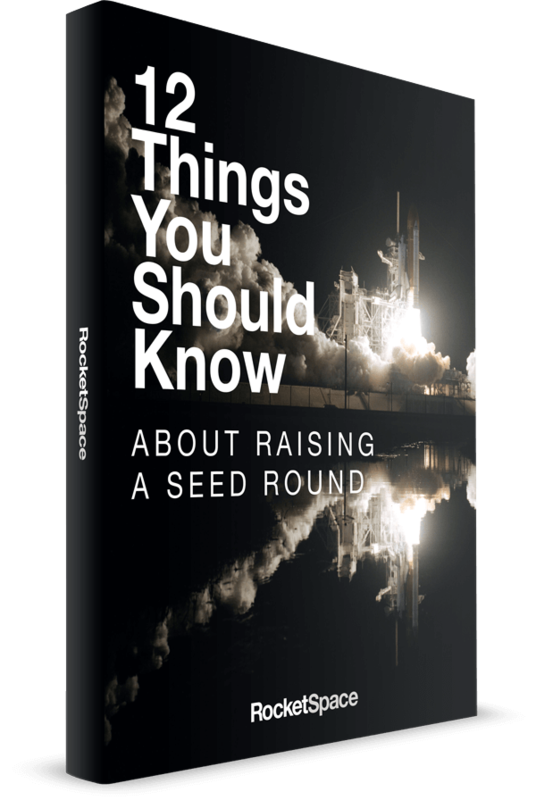 With such an intense schedule, it's even more imperative for founders to have a strong foundation to draw from. Whether it be making coffee and having some alone time, going for an energizing run, or eating breakfast with someone you love—your morning routine should be more than answering emails. If you know your routine could use an upgrade, consider incorporating one or more of the aforementioned suggestions. Whatever you decide, try it for one week. Notice whether you're feeling more productive or not. Try to make even more improvements the next week. Through trial and error, you'll find the routine that works best for you. Another thing that can turbocharge your daily productivity? Working in an environment alongside other focused tech startup founders. Check out RocketSpace’s tech campus for flexible work options, done-for-you amenities and access to corporate partnerships. Looking for more tips on how to fast-track your success? 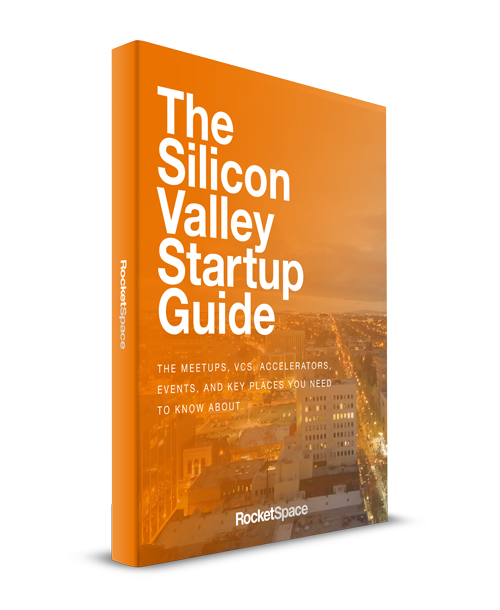 Download our free eBook: The Silicon Valley Startup Guide, to learn more about Silicon Valley's top tech events, meetups, VCs, and more.